Not giving in to The Peter Principle. Sorry. I can't help it. When Heaven Stands Open, LERW, Year B, is currently #10 on Amazon's list of Worship titles in Kindle format. #12, please note, is a title by a guy who until recently was pope. And (according to Gallup), that one is ... banks? That's weird. 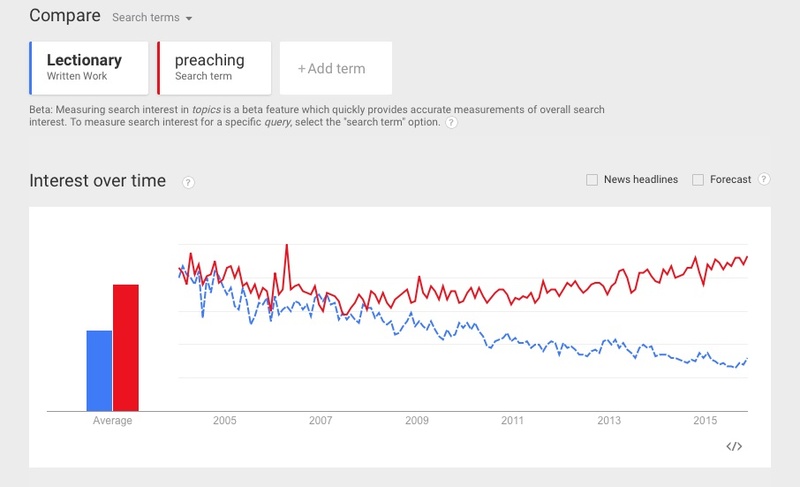 Still a four-point bump for the church is not insignificant. This is so cool. Congratulations to you, Gary, and glory to God in the highest! What a gift to the church. And we have a great seminary, too! Dubuque named one of ten All American Cities for the third time in seven years (see the links at right). The cover image and preview for Greater Attention are finally up at Amazon. 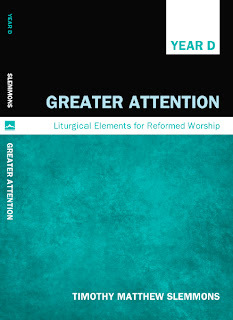 Greater Attention: Liturgical Elements for Reformed Worship, Year D, is now available for purchase on Amazon. This fourth volume in the LERW series (and the second to be released, with an official publication date of May 21, 2013) consists of the liturgical elements I have been posting (and reposting on a rotating basis) here since early 2010 or thereabouts to support the use of Year D texts in worship. As is to be expected in the blog-to-book conversion process, one result of its availability in both print and e-book format (e-book will be available shortly) is that the material that has been freely available here for several years will now be taken down. For those of you who are currently using Year D from week to week, I will leave a few weeks' worth of material (and the occasional sample) up so as to allow for a reasonable shipping interval (which is of course immediate where e-book versions are concerned). Many heartfelt thanks for your use of this liturgical material. Let me encourage you to add this latest volume to your worship resources, and keep spreading the word about Year D! 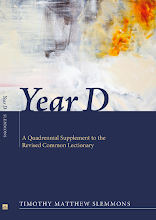 (BUMPED) By the way, a discount code is available for orders placed with the publisher on bulk purchases of 10 or more copies of Year D: A Quadrennial Supplement ... If your lectionary study group, presbytery, conference, session, council, worship planning team, Sunday school class, reading group, or bookstore would like a discount on a large order, e-mail james (at) wipfandstock.com or tslemmons (at) dbq.edu. Gee, I don't know what those speakers at the IRS conferences were saying that made them so valuable, but I'd be willing to preach to the tax collectors the gospel of Jesus Christ — the best news of all! — for a lot less than that.